his name was Bill. Few would have thought that this scruffy little rancher's son would grow up to be a smart, confident, well spoken young gentleman. Nobody would have thought that he would grow up to head up one of the biggest missions that America, or the world had ever known. Campus Crusade was just the beginning though. Soon there were missions to students, the military, athletes and Hollywood actors  and then Bill was involved in making a film himself  a film about the one he loved above all else  Jesus. 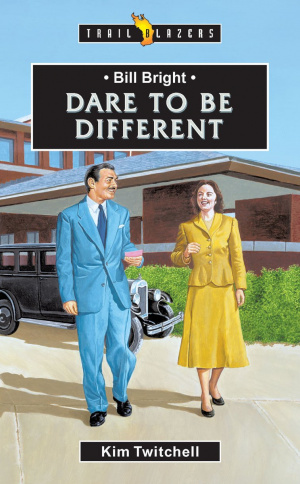 Bill Bright: Dare to be Different by Kim Twitchell was published by Christian Focus Publications in June 2004 and is our 28879th best seller. The ISBN for Bill Bright: Dare to be Different is 9781857929454. Be the first to review Bill Bright: Dare to be Different! Got a question? No problem! Just click here to ask us about Bill Bright: Dare to be Different.